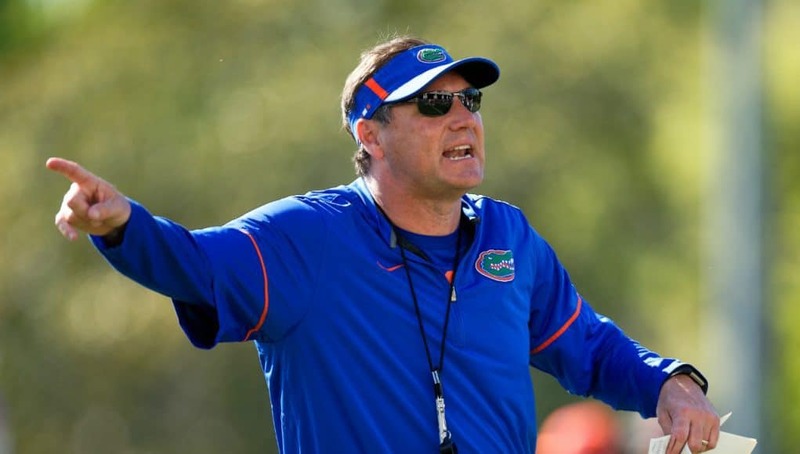 Florida Gators head coach Dan Mullen took the podium on Friday to update on the first full week of fall camp. He gave some insight into the ongoing quarterback battle, the installation of the new offense and defense and what he’s seen from the team so far overall. •	Leadership is the one thing Mullen continues to harp on with the quarterbacks. 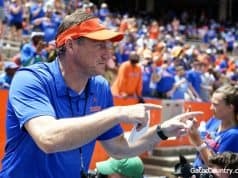 •	Mullen wants to name a starting quarterback as soon as he’s comfortable with it. He does not want the competition to go into game week. •	He would not update on the timeline of injuries to players such as Jacob Copeland and Brett Heggie. He said he will give a full injury update on the team after fall camp. •	The defense has done particularly well with pass rushing by the defense in fall camp. Mullen likes the energy he sees from those guys when they make plays. •	The players have adjusted well to some tempo being added into practices, and they like it because it means they get more reps.
•	Mullen likes what he’s seen from Jabari Zuniga so far, but he wants him to become an every-down player. •	Retention of the installation has been decent, but Mullen would have liked for it to be better at this point. He also added that he is probably looking at it from an unrealistic perspective considering it is new for the entire team. •	Most teams around college football are scrimmaging over the weekend. 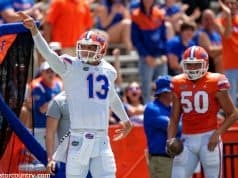 Florida will hold it’s scrimmage on Monday.